The health care industry is booming. Medical advancements are made every day, and the need for health care professionals to take care of America’s aging population is skyrocketing. In fact, according to U.S. News, 18 of the top 25 jobs in the country are in the health care field. 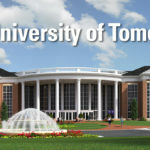 High Point University has built programs that address these needs. 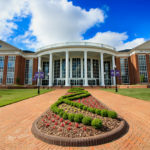 The Congdon School of Health Sciences and the Fred Wilson School of Pharmacy at HPU prepare students for a promising path as a physician assistant, pharmacist, exercise scientist, athletic trainer and soon, a physical therapist. Many health care providers agree that the life-changing and life-saving potential of their job makes it all worth it. The need for health care is universal. A career in this industry allows room for travel and mobility to move from one area to the next, since you can do your job practically anywhere in the world. Specializing in a certain area allows you to hone in on your passion and work wherever you want. 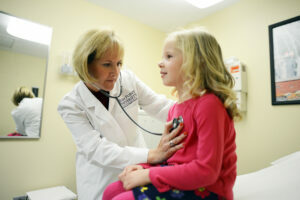 “For example, PAs work in all areas of medicine, including primary care, family medicine, emergency medicine, surgery and psychiatry,” says Dr. Linda Sekhon, chair of the Department of Physician Assistant Studies at HPU. The role of health care providers today looks much different than it used to. 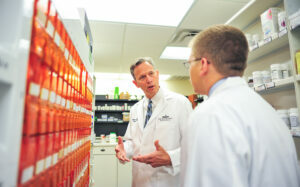 Pharmacists, physicians and physical therapists used to practice in silos. But times have changed. Today, health care is a collaborative team sport of patient-focused care. Providers of various specialties interact daily, and their patient’s well-being depends on their ability to communicate effectively. 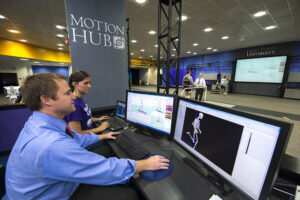 At HPU, students receive a cross-disciplinary education. A physician assistant student takes classes with athletic training and pharmacy majors. Through that, students learn how to navigate working in a team. A growing and aging population requires more people who can provide quality health care. 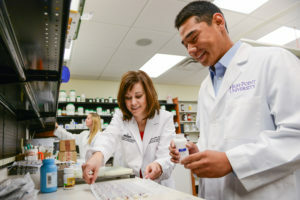 When students in HPU’s health sciences and pharmacy schools graduate, they’ll enter the workforce with many job opportunities available throughout the world. 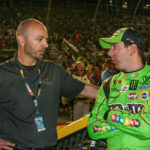 In fact, the Bureau of Labor Statistics show these fields are expected to grow up to 34 percent by 2024 – much faster than average for other occupations. In health care, no day is the same. The field is very dynamic; health care providers work in office settings, emergency rooms, retail pharmacies, even on the battlefield. It provides the opportunity to interact with a broad range of people, learning new skills every day. Times are changing. While we don’t know what the health care industry – or the world – will look like in 10 years, what we do know is this: There will always be a demand for health care workers who can grow and adapt. And the ability of HPU graduates to tackle it is certain.